BC Children's has great waiting room toys! Since Brontë emerged into the world, presenting the classic signs of a tethered spinal cord, I've realized that I've longed to hear that she was normal. A year of dealing with the ever present niggling knowledge that her spinal abnormality could, at any time, start impacting her development, has made me love the average. When she started crawling at seven months, just like the baby books say is normal, I was thrilled. When she recovered quickly from the general anesthesia for her MRI, bringing her back to her usual bubbly self, I was relieved. I pay more attention to how often she pees & pops than most patents of a 13-month-old, I suspect, watching for telltale signs of abnormality caused by damage to the lower spinal nerves. With every specialist that we see, & every test that the poor thing undergoes, we worry about the unusual, & rejoice at the word 'typical'. Last Thursday, baby Brontë went through her first video urodynamics exam. This involved having catheters inserted into her urethra & bowel, then being filled up with fluid so the urologist could assess her bladder function. Getting catheters was uncomfortable, as was filling her bladder up to its capacity. I managed to keep her somewhat distracted & on her back under the xray machine for the procedure. The urologist & technician at Children's were efficient & gentle, & best of all, we got to hear the magic words after the doctor conducted the test: "Everything looks normal." After our meeting with our team in the spinal cord clinic about a month ago, we were told that nerve damage & surgery are not a sure thing. There is a possibility that Brontë's tethered cord will grow as she does, avoiding enough traction on the nerves to cause any damage. Nobody knows. So Brontë will be followed closely as she is still growing so rapidly. We will shoot video of her feet & walking every few months for the physiotherapist. 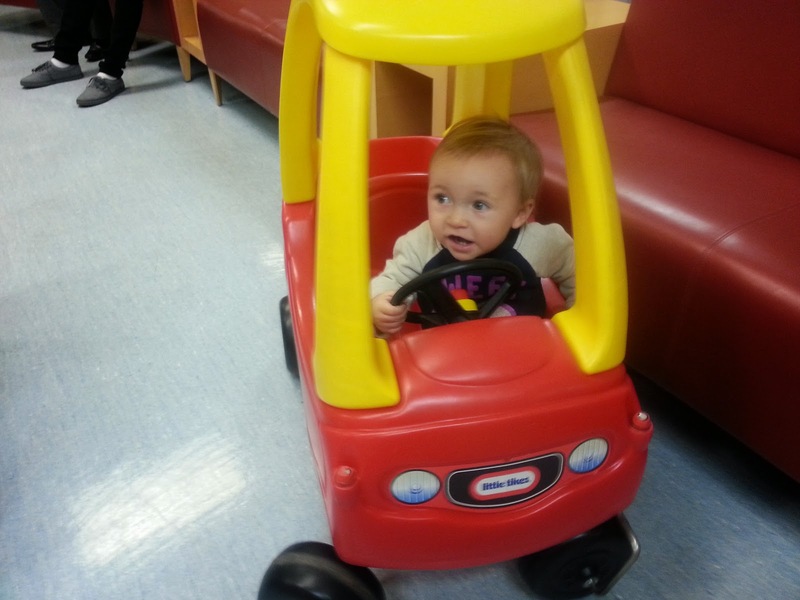 Every six months or so, she will charm the lovely doctors & staff in our four hour marathon of appointments at Children's. She'll have to put up with the video urodynamics again. At some point she'll have another MRI, I assume. & we'll just keep hoping for normal.